Sony has rolled-out a brand-new version of its PlayStation 4 Pro. Now, if you're wondering how you could have possibly missed the launch of a brand-new console from one of the biggest technology companies on the planet – don't panic. 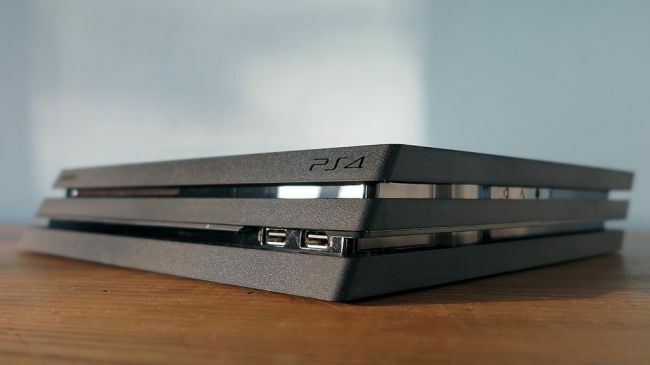 Sony introduced its new console almost silently. And for good reason, too. From the outside, the new machine is almost indistinguishable from the previous version, with the same three-tiered sandwich design and matte black casing. However, when the new console is fired-up and running, it makes significantly less noise than its predecessor. Sony PlayStation 4 Pro users have been grumbling about the excessive noise from the cooling fan since the launch of the console in November 10, 2016. Players have come to refer to the quirky behaviour of the console as the ‘Jet Engine’ effect. However, those criticisms have purportedly been put to bed with the latest iteration of the games console, which is referred to by the model number CUH-7200. Eurogamer analysed the noise output of the updated model and found that it is noticeably quieter than its predecessor. Whereas the previous PS4 Pro would output between 50dB to 55dB pushing pixels, the new model peaks at 44dB and 48dB. It's unclear exactly what Sony has tweaked to reduce the amount of churning air being fired from the cooling fans. However, it's clear that if you're looking to pick-up a PS4 Pro this Christmas, this certainly looks to be the model to opt for. Elsewhere, the only other notable change is the move to a slim figure-eight style power cable like the one used on the PS4 Slim. This replaces the previous model's bulky three-prong cable, like those found on desktop computers and kettles. The newer, quieter PS4 Pro models will eventually become the only version of the console that you'll be able to buy. However, for the moment, both the models are available as retailers run through their old stock. Interestingly, those who've bought the new PS4 Pro Red Dead Redemption 2 bundle are guaranteed to get the latest and greatest PS4 Pro model. Is Sony building a touchscreen PS4 to challenge the Nintendo Switch?